Mark Rock, CEO of Audioboo. Photo by Kate Arkless Gray. Since it launched in 2009, Audioboo has become widely used by journalists and so-called citizen reporters. You can add a picture and geolocate your Audioboos and simply engage with the community or use it as a audio player in a blog post. Stephen Fry’s love of the audio recording and sharing platform, as well as the committed community of users have helped to cement it as a popular tool for journalists, and app on the reporter’s phone. The Guardian listed the top 10 most-listened-to Audioboos back in June. We have been finding out about the latest developments by speaking to Mark Rock, CEO and founder, about Storify, the riots, Libya, its API and his thoughts on “friendly competitor” SoundCloud. How has Audioboo developed, particularly now Audioboos can be added to Storify stories? Part of the reason behind Audioboo is that the spoken word has been a really neglected area on the internet. All the innovation has been around music when it comes to audio, and the spoken word is a really evocative and emotional medium for reporting stories. If you just look at the Audioboo trending lists today probably several of the most listened to clips are from Libya. What we set out to do was to make it as easy as possible for people to report or tell the stories or share an experience. Part of the deal with Storify is to be able to integrate that in a journalistic medium for not only reporting a story but also retaining it for future reference and use. 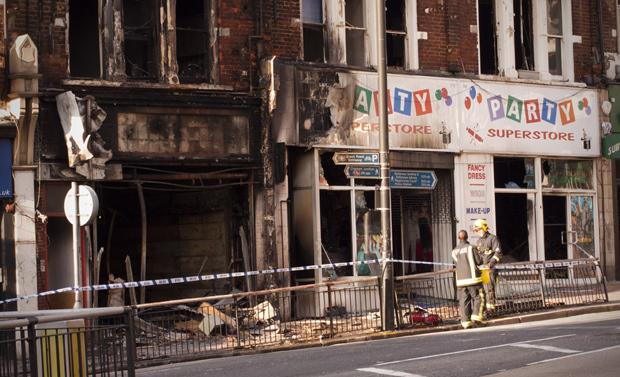 How was Audioboo used during the riots? The riots were really interesting in that most of the journalistic output, so the Guardian, the Telegraph, Sky News, were using Audioboo to rebroadcast stuff they had already done. I think where it really came into its own was people on the ground, with their mobile phones actually recording their experiences and some of the recordings are quite incredible in terms of what you can hear in the background: the riots, the sirens and fires blazing. It’s a technological experience that even five years ago was not possible. And the audio was uploaded in two, three, four, five minutes of the recording being made and traditionally that would be a day or two days later. We’ve seen the same in Libya. There are stories there which would probably would not get into a traditional radio broadcast. Very powerful stories, a lot of them done by non-journalists. There’s a fantastic blogger called Libya17 who phones people up from America, phones people up in Tripoli and throughout Libya, and gets them to recount their stories live and then puts them up to Audioboo [you can hear the Audioboos from feb17voices here]. It’s a fantastic social record, I think. You’ve opened your API. What are you hoping will come of that? Even though we have mobile apps and a website, we really see ourselves as a platform to be used and abused. Part of the Storify use was them accessing our API and just making it very easy for people to drag Audioboos into a Storify story. We have a public API which does everything that we do so you can pull down clips, search, record, playback. All of that is out there now. What we have done recently is a couple of things on the mobile front. There is an iPhone plugin. We have taken all our code for recording and playback and put it into a library for iPhone, which if you are an iPhone developer takes you about 20 minutes to integrate into an existing app. That’s been used by about four or five news outfits in Germany and Absolute Radio in the UK has incorporated it into three of its apps. It’s essentially a new way of citizen reporting or radio phone-in but with metadata and photos with location and tags. What we also did recently is we open-sourced the code for our Android app. Android is a really difficult platform to support when you are a small company because a HTC works differently than a Motorola etc. We’ve actually stuck the entire codebase at github.com so that other developers can continue working on it. Where do you see Audioboo in relation to SoundCloud? SoundCloud has actually been going a year longer than us and I know [founders] Alex [Ljung] and Eric [Wahlforss] really well so we are friendly competitors. SoundCloud is a fantastic system, a lovely website, lovely embed tools but it is 99 per cent music. Alex is a sound guy, loves that, and that shows in the product. Where Audioboo works is in the spoken word. We’ve always been primarily about that. Hopefully they can coexist. I know SoundCloud is looking to push much more into other areas of audio. But I think where we excel is on the stories that audio allows people to tell. Up until now that’s been news stories so we’ve been known as a news platform. We’re rapidly going to push out into other areas, whether its musicians talking about their music or sports people talking about their training, and we should see the result of that fairly soon. Have you any plans to change the price and accounts structure? We have a five-minute limit for free accounts. Hopefully soon we are launching a 30-minute account to appeal to podcasters. We think we can convert a good proportion of users to a paid service and that is going to be £50-a-year and with that you get additional stuff like a better iTunes listing and the ability to post to Facebook pages. And we have our professional service which is used by BBC London, Absolute and Oxfam, which is much more about the curation and moderation of other people’s content. Audioboo and SoundCloud have some differences when it comes to the player. Are you planning any developments to yours in the near future? The commenting on the [SoundCloud] audio player is nice and I think it works for music and I would question as to whether it works that well for news. If I had a bigger team I’d love to have it. SoundCloud is 60 people, we’re five. We have a list of stuff we can do. Any plans to cope with the problems of iOS native apps (such as the Journalism.co.uk iPhone app) which does not display the Flash Audioboo player in blog posts and news stories? We currently have a player which, if you have Flash installed, will play in Flash. If you’re on an iPhone or an iPad, it will plays back in HTML5. That’s all in place for the site but where we haven’t got that at the moment is in the embedable player, where you can take the code from the site and put it in your own blog. It’s on a list at the moment. Stay tuned, is all I can say. Any other developments in the pipeline at Audioboo that we should know about? We’re continuing to improve the paid product. One of the things we’re doing is bringing back Phone Boo, which allows you to telephone call into the Audioboo website. If you haven’t got a smartphone and you haven’t got access to the web you can just make a telephone call and we record that and put it up on the web. We have partnered with an HD voice telephone provider so if you have an HD enabled phone it will record in infinitely better quality than a telephone call and it also means it integrates quite nicely with Skype. We launched Boo Mail a couple of weeks ago. That’s the ability to send in a file by email, a bit like Posterous. And for our Pro users we’re launching pre and post rolls. That is the ability to specify a sting or an ad or whatever you want at the beginning or the end of an Audioboo and that automatically gets stitched on. This entry was posted in Broadcasting, Citizen journalism, Handy tools and technology, Multimedia, Social media and blogging and tagged Audio, Audioboo, Libya, Mark Rock, riots, SoundCloud on September 7, 2011 by Sarah Marshall. This entry was posted in Journalism, Newspapers, Online Journalism and tagged debt, Journalisted Weekly, London riots, Premier League, riots, UK riots on August 16, 2011 by Sarah Booker. In a blog post today (12 August), information architect at the Guardian, Martin Belam, calls on journalists to make the most of the data now available in relation to the riots which took place this week. He says using the data is “vital” and the resulting journalism will have the power to “help us untangle the truth from those prejudiced assumptions”. But he adds about the importance of ensuring the data is not misinterpreted in time to come. The impact of the riots is going to be felt in data-driven stories for months and years to come. I’ve no doubt that experienced data crunchers like Simon Rogers or Conrad Quilty-Harper will factor it into their work, but I anticipate that in six months time we’ll be seeing stories about a sudden percentage rise in crime in Enfield or Central Manchester, without specific reference to the riots. The journalists writing them won’t have isolated the events of the last few days as exceptions to the general trend. … There can be genuine social consequences to the misinterpretation of data. If the postcodes in Enfield become marked as a place where crime is now more likely as a result of one night of violence, then house prices could be depressed and insurance costs will rise, meaning the effects of the riots will still be felt long after broken windows are replaced. It is the responsibility of the media to use this data in a way that helps us understand the riots, not in a way that prolongs their negative impact. This followed a blog post by digital strategist Kevin Anderson back on Sunday, when he discussed how the circumstances provide an opportunity for data journalists to work with social scientists and use data to test speculated theories, with reference to the data journalism which took place after the 1967 riots in Detroit. … I’m sure that we’ll see hours of speculation on television and acres of newsprint positing theories. However, theories need to be tested. The Detroit riots showed that a partnership amongst social scientists, foundations, the local community and journalists can prove or disprove these theories and hopefully provide solutions rather than recriminations. 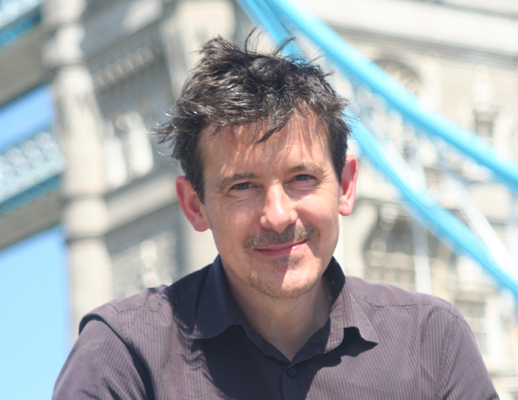 This entry was posted in Data, Editors' pick and tagged data, data journalist, investigative journalism, Kevin Anderson, London riots, Martin Belam, riots, UK riots on August 12, 2011 by Rachel Bartlett.